In our earlier legal articles we considered what counts as a cycle and where you can legally bike. Now let’s look at what you can and can’t have on your bike (well you can take it from the earlier discussion that you can’t have a petrol motor for starters…). Good brakes on the front and back wheels; these can be any effective type such as calipers, discs, back-pedal hub, etc (pre-1988 bikes only need a back wheel brake). One or more steady or flashing rear-facing red lights that can be seen at night from a distance of 100 metres (NB: soon proposed to be 200m). One or two white or yellow front headlights that can be seen at night from a distance of 100 metres. Only one of these headlights may flash. Pedal retro-reflectors on the front and back ends of each pedal; alternatively, you need to wear some reflective material (other than this situation, there is no other mandatory requirement to wear high-visibility clothing when cycling, although it can’t hurt sometimes…). What about other kinds of lighting, like head-mounted lights, wheel-mounted pattern lights, and pedal lights? As we’ve mentioned before, many of these things actually fall foul of the Vehicle Lighting Rule, which doesn’t allow side-facing lights or any lights that “dazzle, confuse or distract other drivers or other road users.” I’m particularly wary of some of the ultra-bright bike lights now available, especially head-mounted ones. As it stands, the vehicle lighting rules are not well set up to cater for cycle lighting, and actual practice by people out on the street tends to be ahead of what the current law allows (e.g. people were using flashing lights and two headlights long before they were made legal here). and if you’re really feeling keen, you can throw in a holder for your water bottle, coffee cup, wine bottle or even beers! Can you “dub” (i.e. carry) someone on a bike? Sadly, no, not unless there is a seat specifically designed for them (which typically restricts most people to carrying small kids only unless you have a cargo bike). Finally, it’s important to appreciate that while many of these requirements are described in the NZ Road Code and Code for Cyclists, these are only a summary of the actual legislation (such as the Road User Rule, Vehicle Dimensions & Mass Rule, and Vehicle Lighting Rule). There are little nuances that haven’t been fully captured in the Road Code interpretation so, if in doubt, check the underlying Rules. 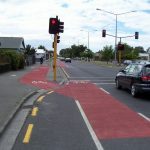 Do you have any questions about cycling law in NZ? Let us know! Interesting that bells are optional. I thought they were mandatory as bikes are always sold with them. 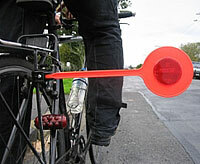 Bells are cheap bike accessories – worth a couple of dollars retail. So its an inexpensive extra for the bike shop to add. I’ve never seen a drop-bar road bike with a bell. Next Next post: Can we put cyclists through Lyttelton Tunnel?